Scott Hornak, CEO of Craig Scott Entertainment, today announced that the company will donate the services of the renowned Craig Orchestra to perform at the Hugs for Brady Foundation’s annual Winter Gala on March 5. 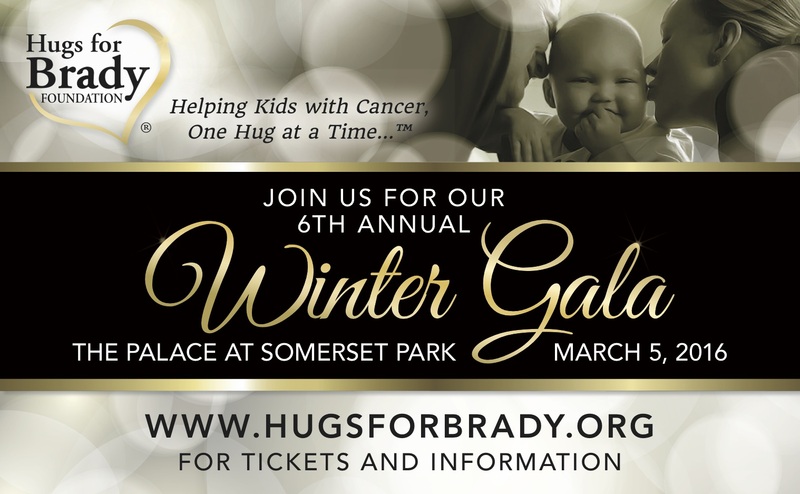 The Hugs for Brady Foundation, whose slogan is, “Helping Kids with Cancer, One Hug at a Time,” is a non-profit organization established to help children battling pediatric cancer and assist in research to find a cure. Sherrie and Michael Wells started the foundation in 2009, shortly after their 13 month-old son, Brady Michael, was diagnosed with Non-Differentiated Acute Leukemia, a very rare form of leukemia. In 2010, Brady passed away at 23 months of age, after bravely battling the disease for ten months. Craig Scott, the area’s foremost provider of music and entertainment for weddings and events, will donate its 10-piece orchestra, along with Sinatra-style singer Stan Gilbert, to help make the gala even more special this year. “This is the first time we’ve been a part of Hugs for Brady. It’s something we feel very strongly about and we hope that providing our orchestra for the event will help increase awareness and raise some critical additional funding,” said Hornak.